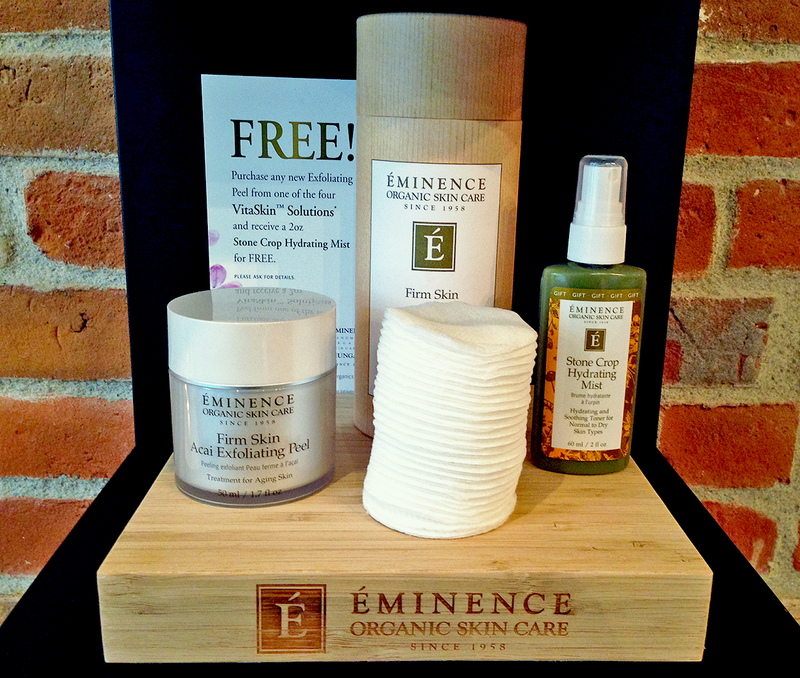 I had the privilege of attending the exclusive Éminence Organics “In Your Face” event hosted by PURE Organic Spa. 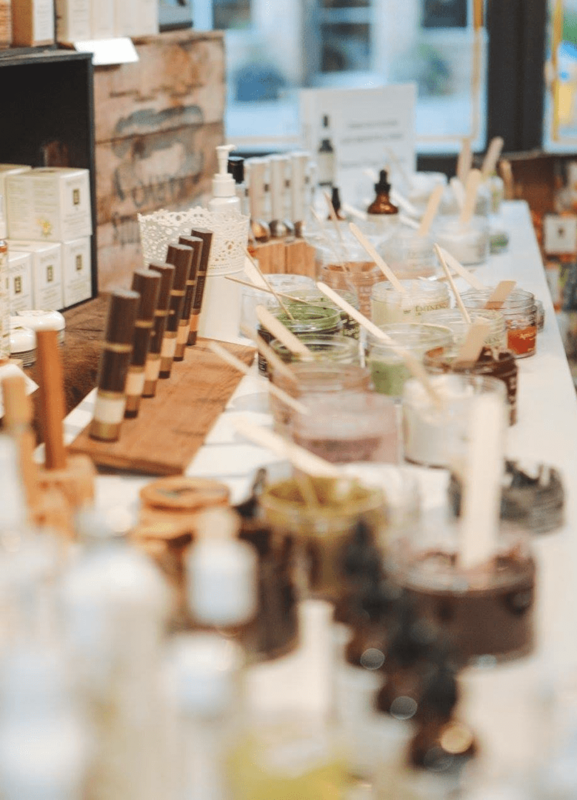 As an advocate for green beauty, I am a total believer in the healing power of plants in skincare, which is one of the reasons why I was so excited about this event. 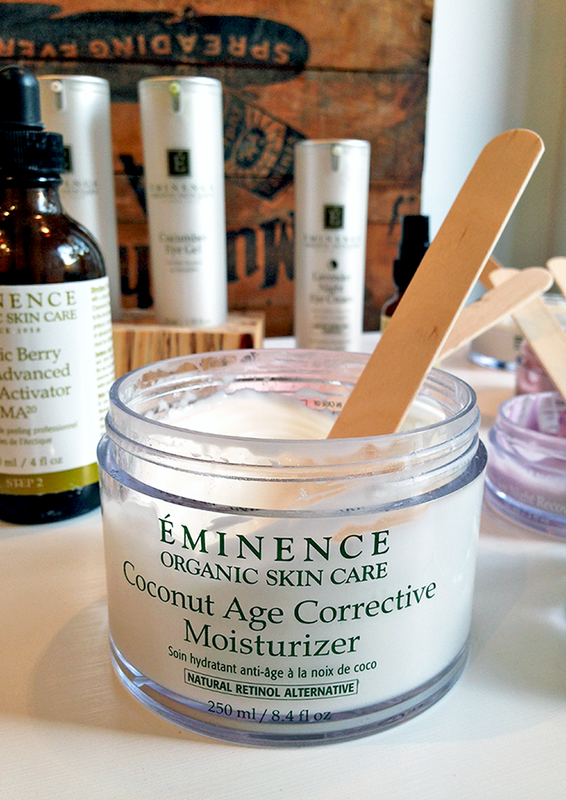 I have been using the Éminence skincare range for years, and absolutely love the brand. If you haven’t tried their line you really should as they have some amazing high quality products that your skin will fall head over heels for. 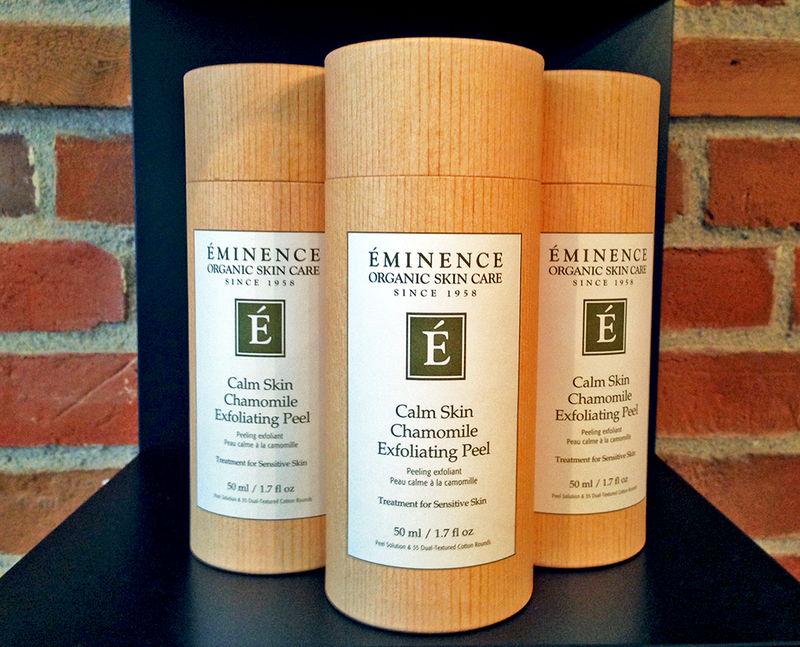 Éminence offers a wide range of products that provide amazing results. 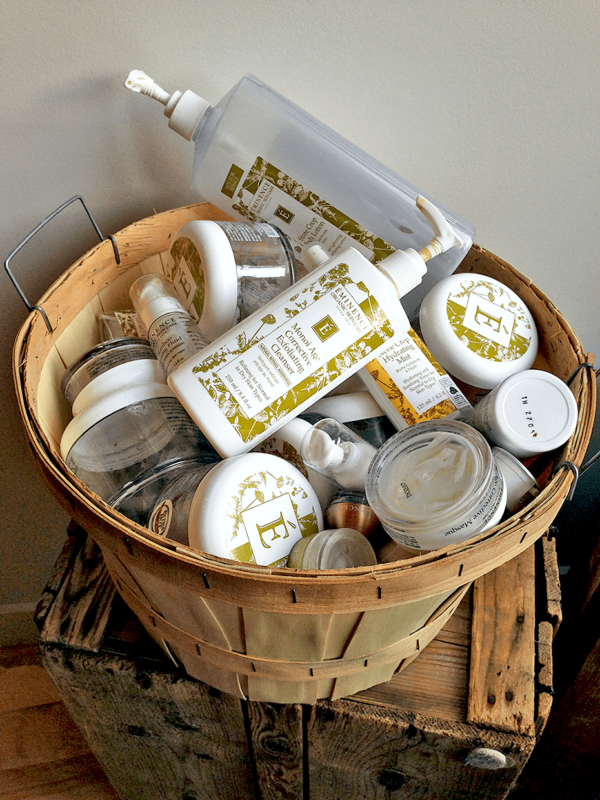 It’s no wonder they have been voted the best in organic skincare 6 years in a row by Spa Professionals! What I love so much about the brand is that all of their products are handmade in Hungary with all natural, 100% organic ingredients (vegetables, herbs, fruits, and spices). They are amazing products that fit right in with your health and wellness routine because essentially they are food for your skin! 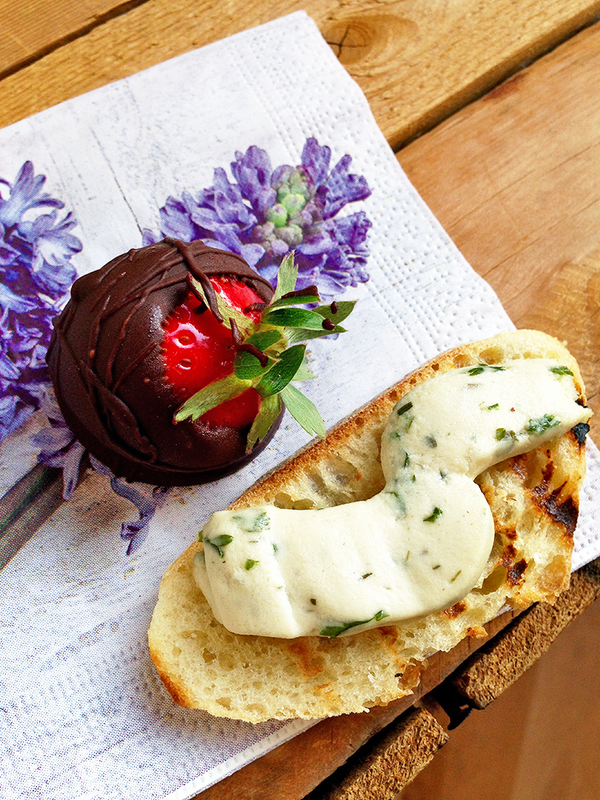 It’s very easy to fall in love with the line— all the products smell good enough to eat! Now I’m not suggesting that you spread them on toast or crackers but you get the gist of it! 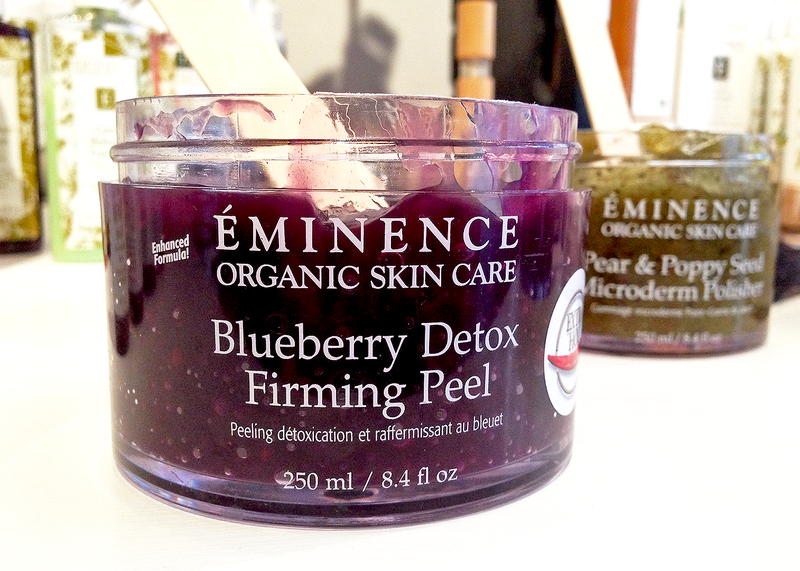 Whether you are looking for moisturizers, cleansers, beauty oils or masks, Éminence has something that will fulfill all of your skincare needs. Some of their standout products include the Strawberry Rhubarb Dermafoliant, the Stone Crop Gel Wash, and the Bamboo Firming Fluid. For the event, PURE invited Sarah Vlasblom, a talented Éminence Professional, who has been with the company for many years. 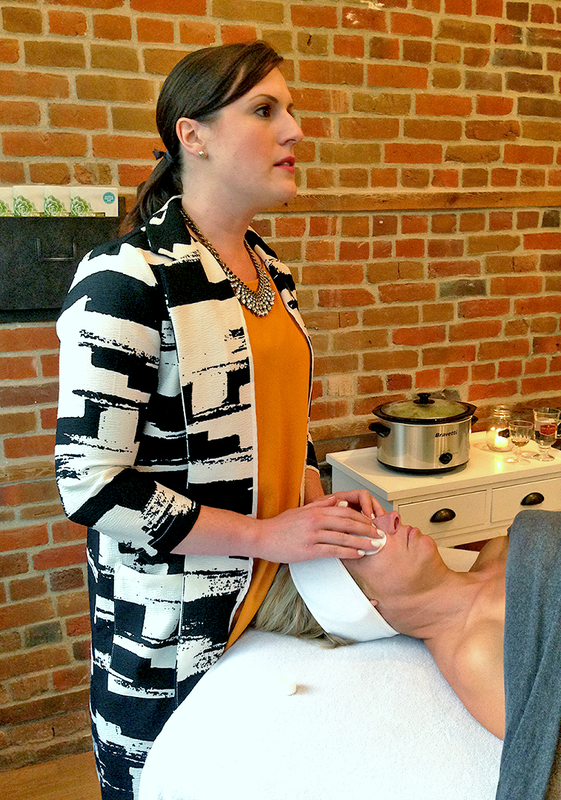 Sarah provides excellent training to the PURE Esthetics staff on skincare education, new product launches, facial techniques, and massage protocols. I very much enjoyed chatting with her in detail about the line and the different products. 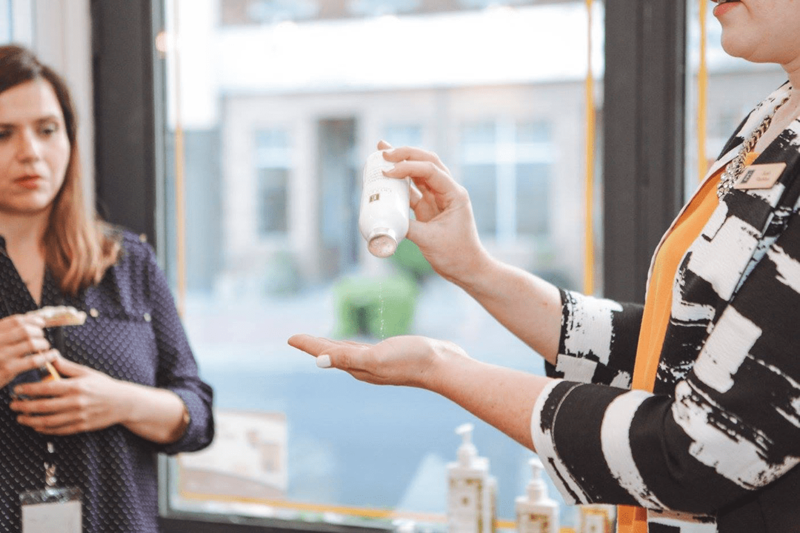 She gave me some really great tips on how to combine different Éminence products to create a truly customized skincare routine. 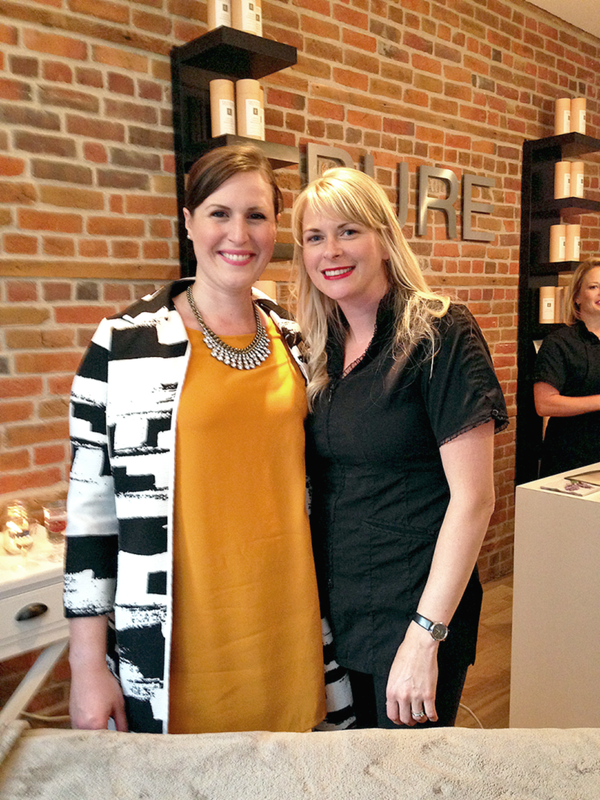 Éminence Professional Sarah Vlasblom and PURE Esthetics Owner Denise Robertson. The highlight of the event was the hands-on facial demonstration with Sarah showcasing the newly launched VitaSkin Exfoliating Peels. 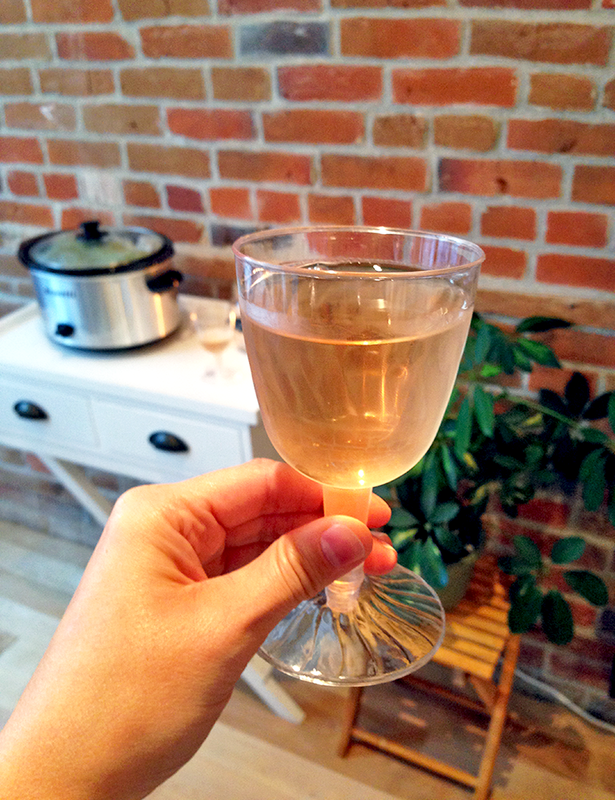 While Sarah went over the products and steps, we enjoyed a nice glass of wine and some delicious hors d’oeuvres compliments of Mindful Cookery & Food Market. To thank the guests for attending the event, PURE treated us to a $20.00 voucher which we could redeem at any time during the event as they had some special promotions running that night only. With my voucher in tow and recommendations from Sarah and Alex from PURE, I picked up the Bright Skin Licorice Root Exfoliating Peel and a few other goodies that I can’t wait to try! Both the PURE Esthetics ladies and Sarah were such a delight. Michelle and Denise have put together an amazing team of young women and professionals; they are so welcoming, always helpful, and very friendly. You definitely feel special while you’re there. I would not even contemplate going anywhere else! Another great thing about Éminence is their commitment to the environment. For every product purchased one tree is planted by Éminence in locations around the world. 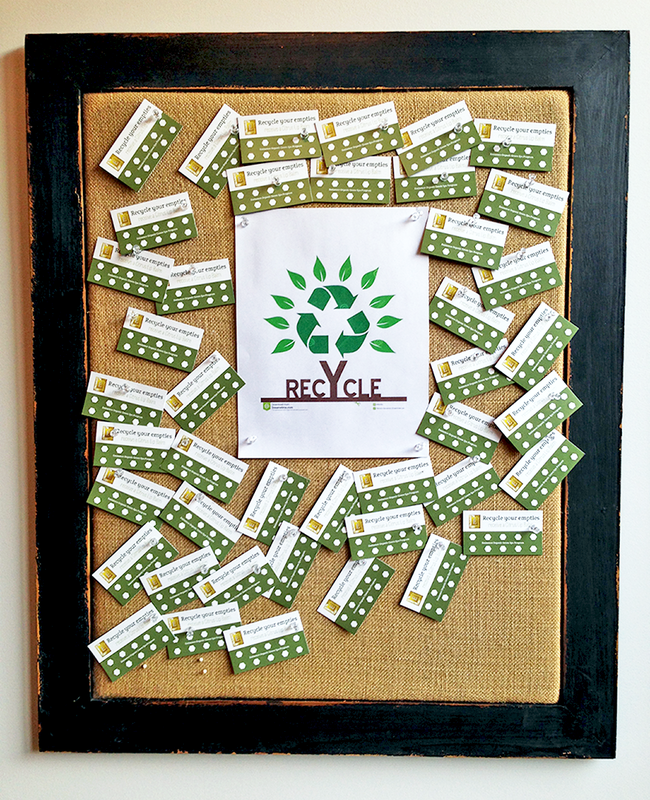 PURE is also contributing to this green initiative by offering a recycling program. 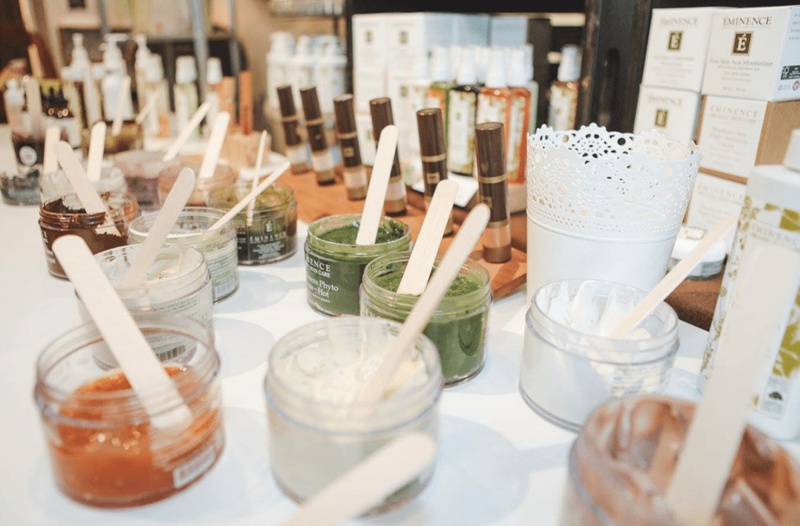 Through the Éminence Organic Green Spa Program, they encourage their clients to return their empty product containers to the spa and then gift you with a citrus lip balm. It’s a nice little treat for doing something good for the environment. Did you know that the Éminence skincare range is also preservative free, chemical free, and produced using renewable energy and eco-friendly packaging? I love that the brand creates products that are not only good for our skin, but also for our planet. 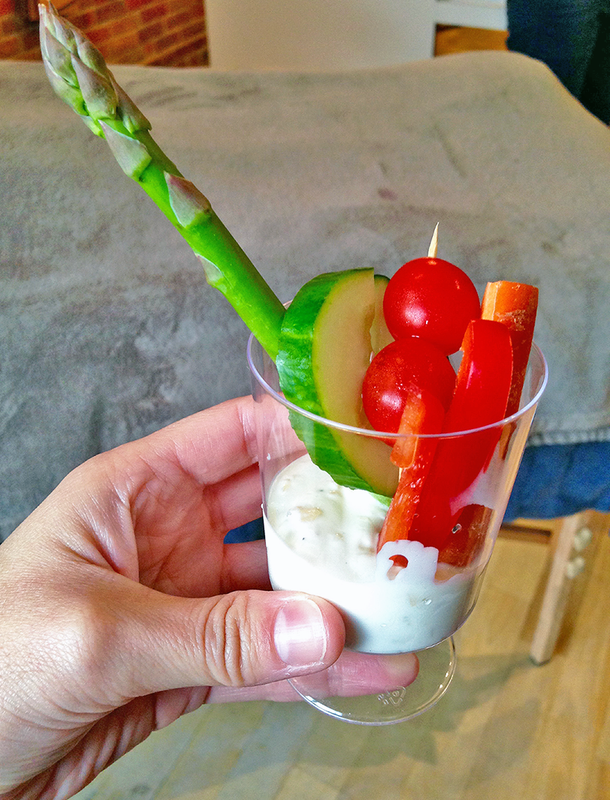 It was the perfect evening to relax, unwind, and mingle of course. It was a fun learning experience; I learned a lot from Sarah, the girls, and even made some new friends! PURE Esthetics were kind enough to offer donations from the evening to a local family. It was wonderful to be part of an event that gives back to the community. Be sure to contact PURE to schedule an appointment. 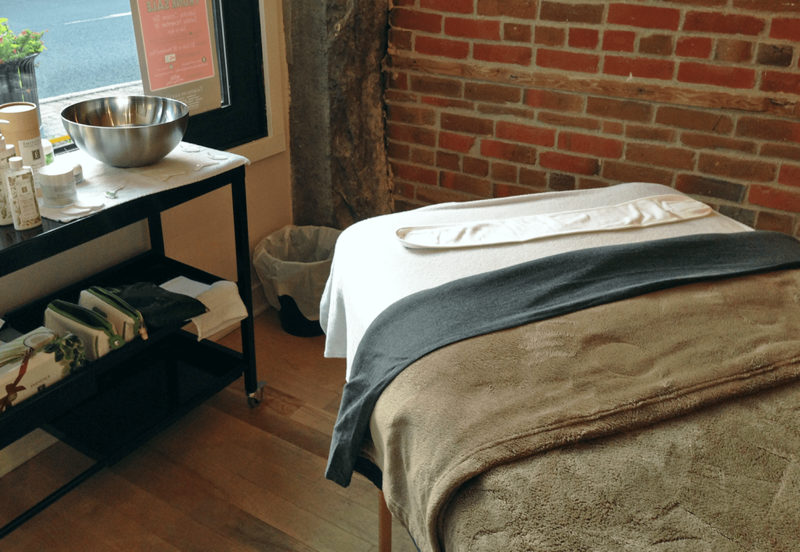 If you’re not from Cornwall, the experience you get at PURE Esthetics & Massage is worth the drive alone! Indulge yourself in a little beauty by visiting their website; you will find a list of their treatments and prices, and you can even book your appointment online. Trust me, you will not be disappointed! Another big thank you to PURE, Sarah, and Mindful Cookery & Fine Market for a wonderful evening and event! It was so much fun! I can’t wait for my “Fall back in time facial with leg treatment” later this month! *Additional photography provided by Jason McNamara from Framed Photography.